Valentine's Day falls on a Friday this year. That doesn't give you a ton of time in the morning to feed your kids a fun Valentine's Day breakfast, but Jaymee Sire's fun heart shaped toast cups might be easy enough to pull off. They have to bake for 20 minutes, but the prep time is pretty simple . You could get these in the oven then get everyone up and ready for the day, sending them off with a little extra love in their tummy. These are a lot like the English muffin breakfast cups that I love, but I am pretty sure an English muffin would not want to cooperate when trying to make a fun heart shape! 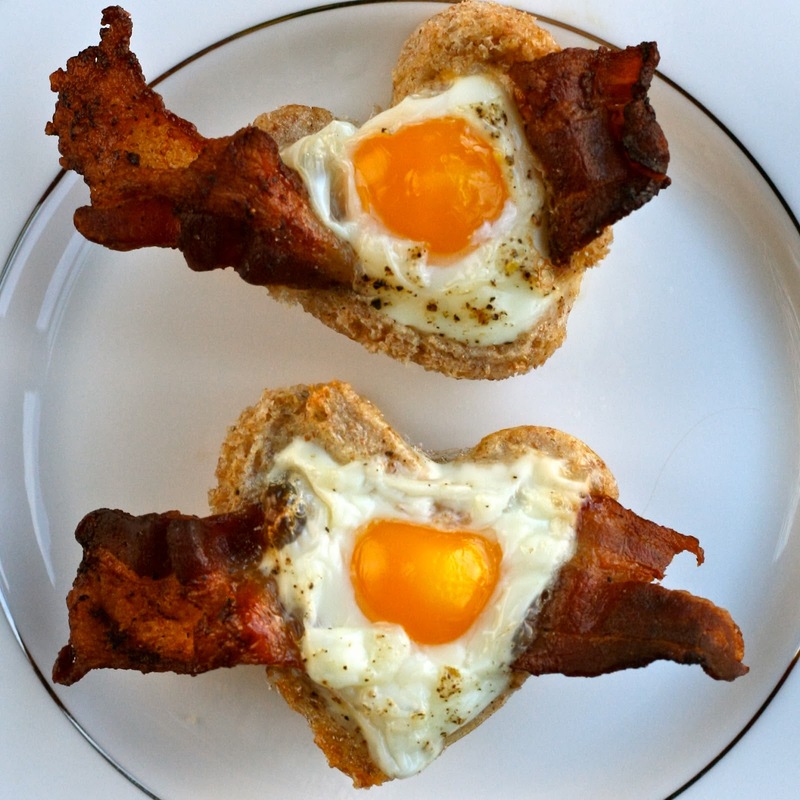 You can get all of the details on how to make a heart shaped toast cup Valentine's Day breakfast over at E is for Eat.